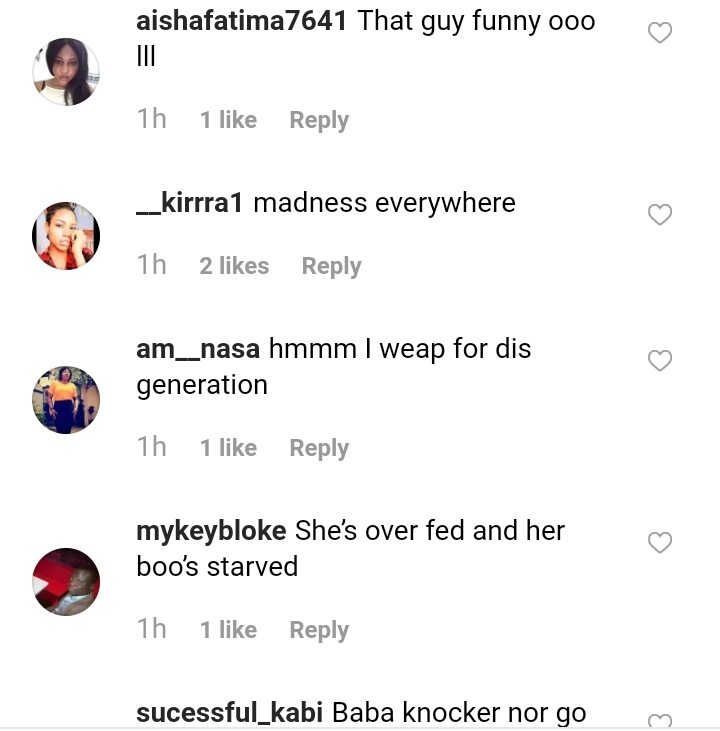 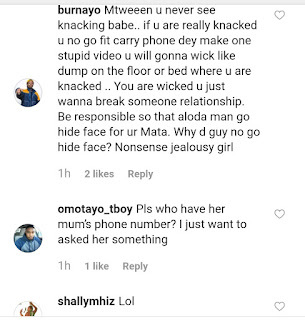 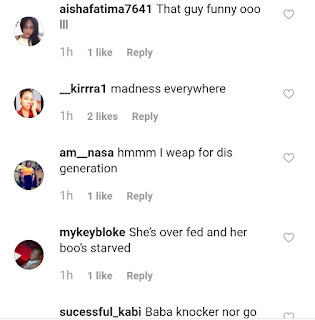 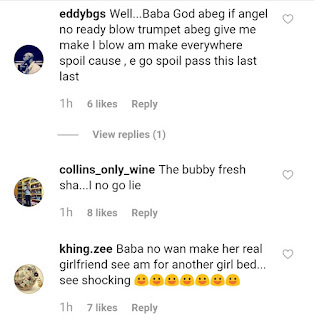 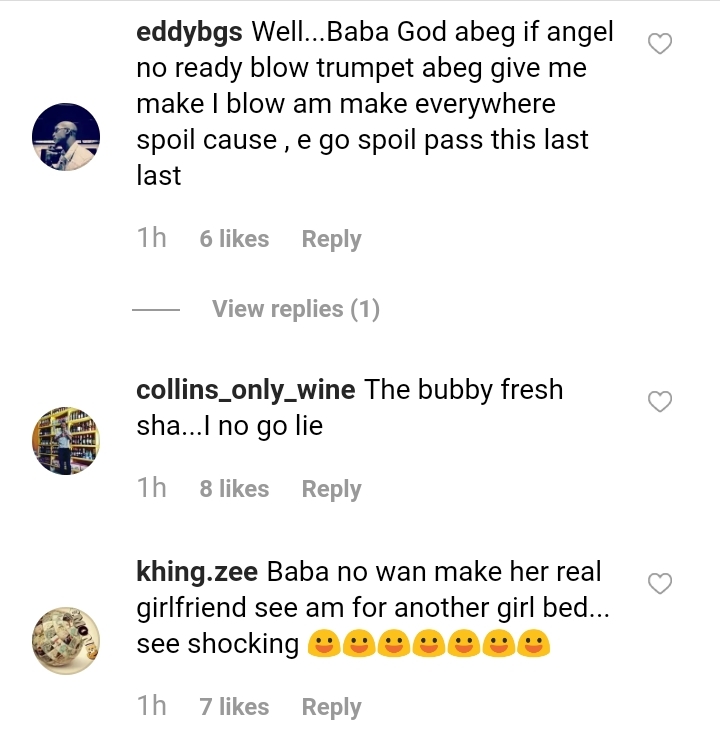 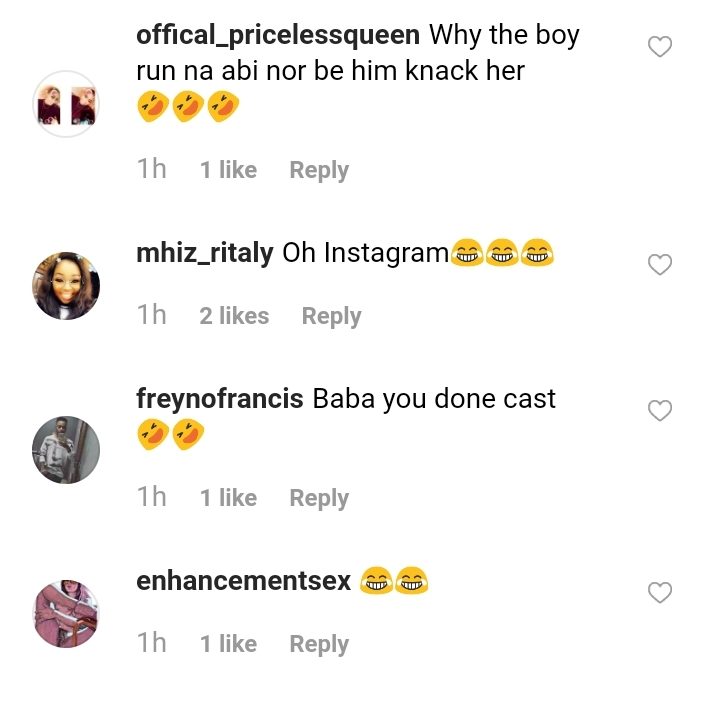 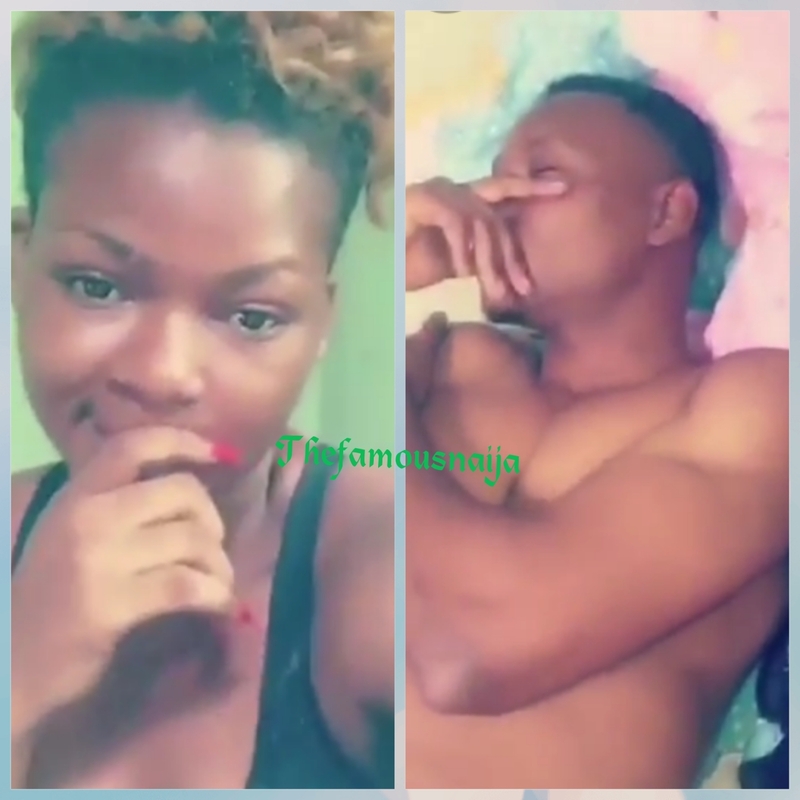 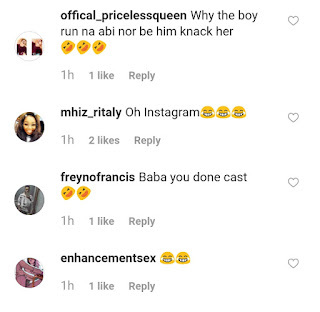 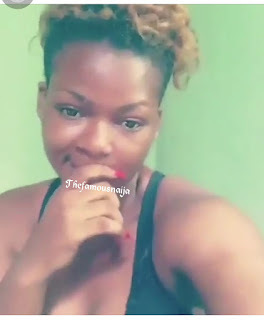 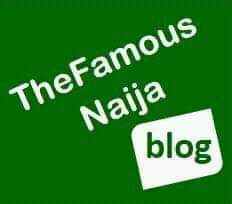 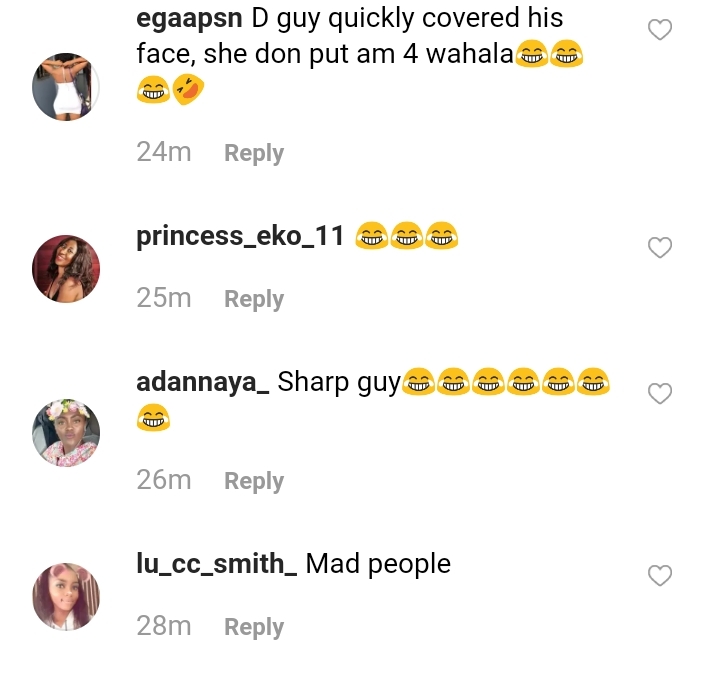 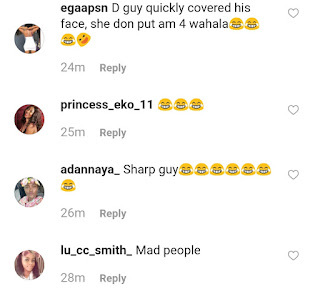 A young Nigerian girl has been tagged 'shameless' after praising her guy. 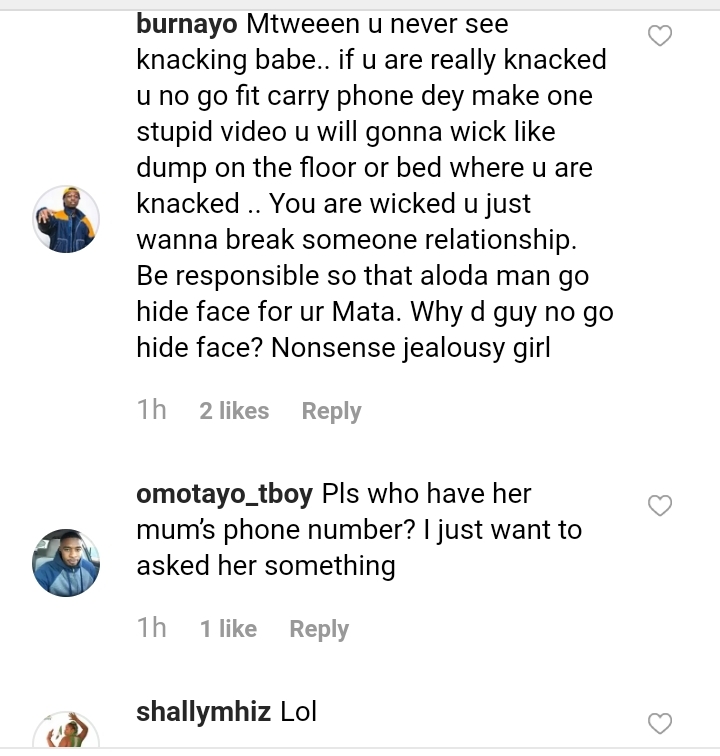 When she focused the phone on her boyfriend, the guy who didn't want to be shown, maybe so that his other girlfriend's won't see him, tried to cover his face. 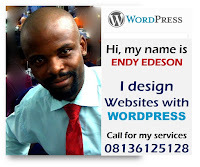 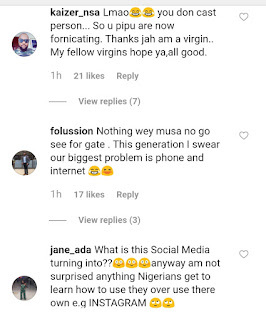 Jane_ada: "What is this Social Media turning into? 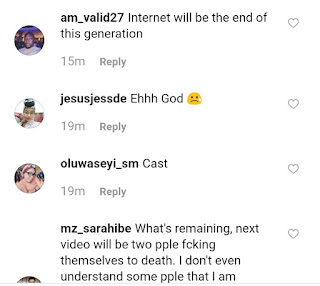 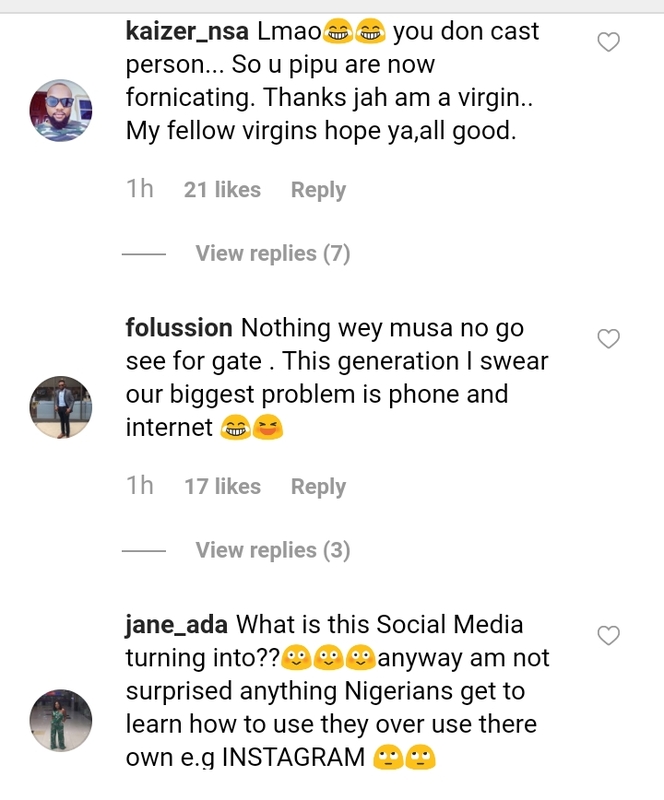 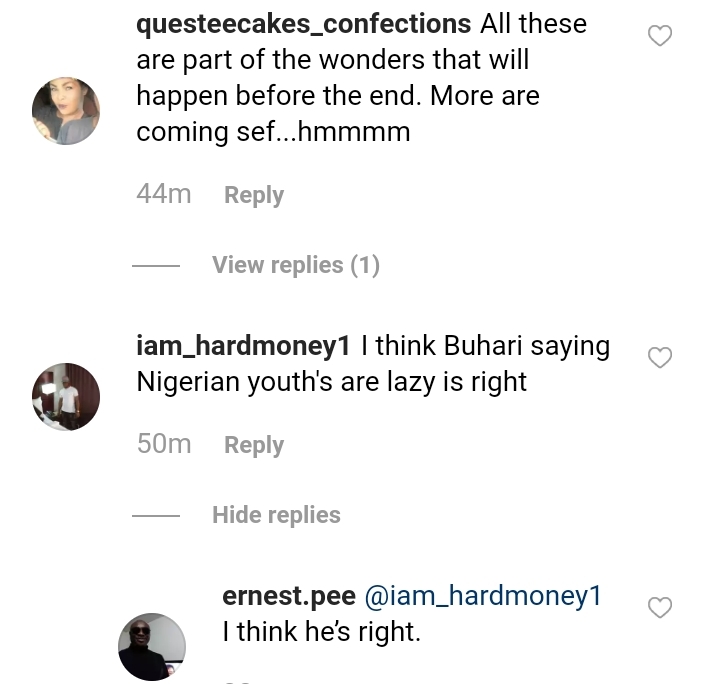 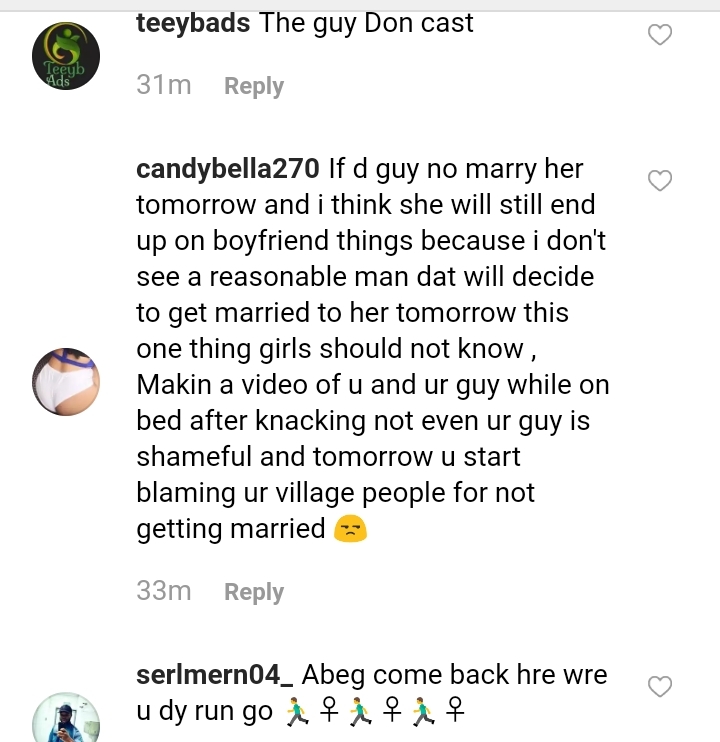 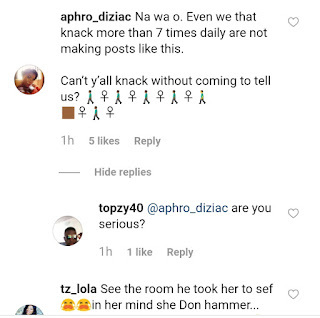 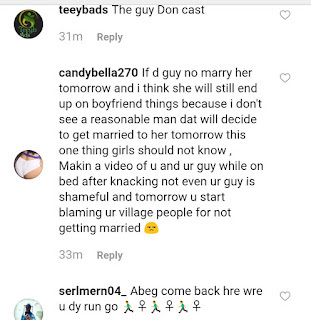 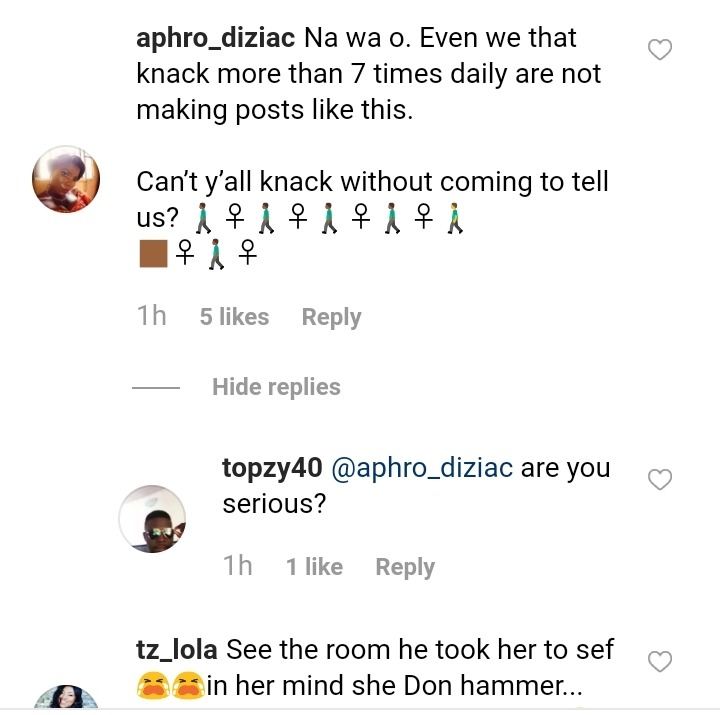 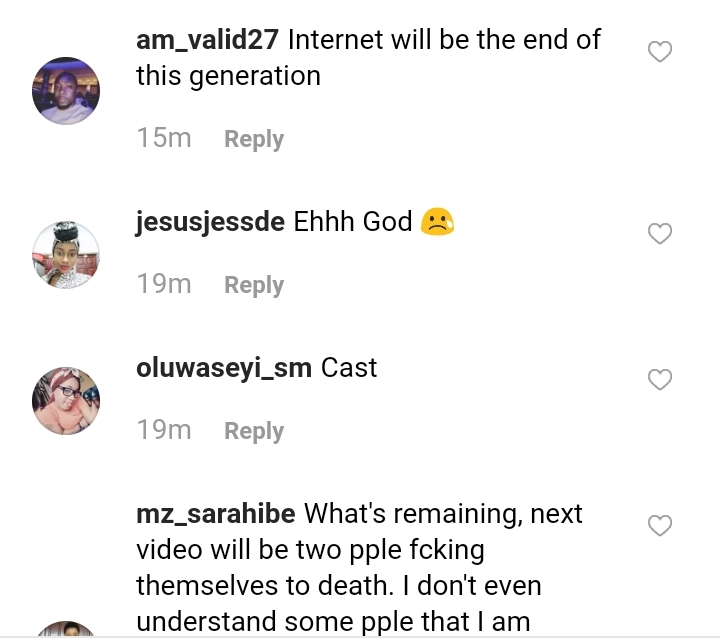 ?😳😳😳anyway am not surprised anything Nigerians get to learn how to use they over use there own e.g INSTAGRAM 🙄🙄"
Candybella270:" If d guy no marry her tomorrow and i think she will still end up on boyfriend things because i don't see a reasonable man dat will decide to get married to her tomorrow this one thing girls should not know , Makin a video of u and ur guy while on bed after knacking not even ur guy is shameful and tomorrow u start blaming ur village people for not getting married 😒"